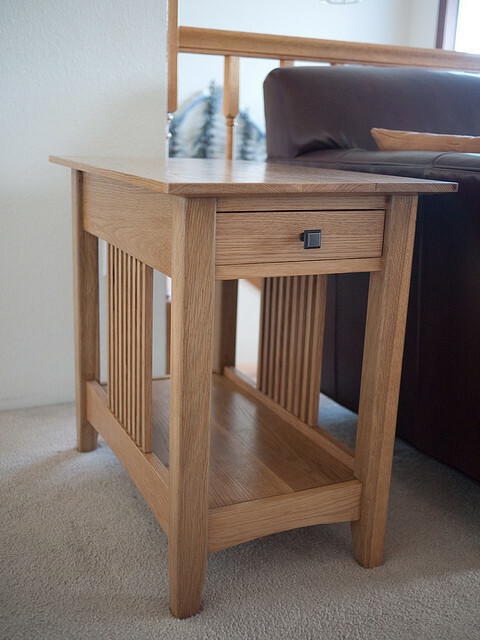 Building your own side table is a perfectly do-able project, even for absolute beginners. It’s a great project to help you learn the basics about working with wood, as well as how to operate power tools effectively and safely. If you need a little guide to help you build the perfect side table for your home, read on. Here are the steps you’ll need to follow to turn your initial idea/plan into a reality. Of course, if you’ll be building your very own side table from scratch, then you’ll need to draw up some rough plans to help you get an idea of the final form it will take, and help you order enough material. The plan doesn’t have to be detailed or exact, but you should be able to take it with you to the supplies shop, and walk away with every bit of material you’ll need to complete your project. Once you’ve brought your materials home, it’s time to take out the power tools (head on over to www.stihl.com.au for a look at the range of power tools you can use to help bring your project to life). The most important tool you’ll need at this stage is the saw. Pull out your measuring tape, mark with your pencil, and safely cut your wood into the right sized pieces. Of course, be sure to wear the appropriate protective gear (safety goggles, gloves, and steep-capped boots), and make sure you dispose of all the cut-offs ASAP to prevent you from slipping on any. Before you take to the nail gun or glue, make sure everything fits together nicely and comes together to form your new side table. At this stage you may need to make slight adjustments to your pieces of wood to help them connect properly. If everything lines up nicely, then it’s time to move on to the next step. If the preassemble is a complete success, then it’s time to connect everything together. If using a nail gun, be sure to operate it properly. In all hon esty though, a simple glue gun is probably all that’s required for a job of this size. Make sure you clean the ends of the wood properly before applying the glue, and then hold the pieces together for at least 30 seconds to 1 minute to ensure a strong connection. Once your little side table is put together, all that’s left to do is painting or staining it to taste. Before applying even the lightest of coats, make sure you give the table a good cleaning to remove dust and dirt. You may want to apply a white undercoat before painting to ensure a nice finish. Or if staining, try applying two coats for a beautiful, natural effect.And there you have it. Creating your own side table really is a simple DIY project suitable for even the absolute beginner. Sure, you may not be able to build a work of art the first time round, but hopefully you’ll create something of functional value, and learn lots along the way.